Learn why you should discover your leadership style . . . 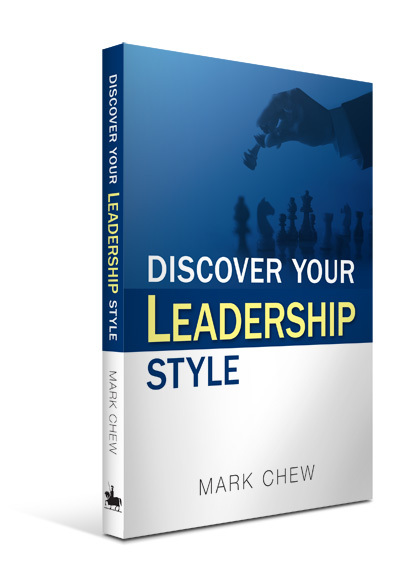 In this enlightening book, Mark Chew, provides practical tips and insights to help student leaders, business owners, managers and leaders in any organisation to discover and identify their leadership style. Drawing on his wealth of experience, Mark presents and expounds on key characteristics that the ideal leader should possess. Inspiring and illuminating, and filled with fascinating stories and vivid illustrations, this leadership guide-book will renew your mind and empower you to become the successful leader you were meant to be. How David schemed his way around to fulfill his lust . . .
How a military captain managed to get his entire company to rebel against him . . .
How a great mentor managed to motivate a down and out business owner who wanted to give up . . .
How a young lawyer managed to turn the tables on a scheming and unscrupulous chef . . . Discover also the leadership principles that would empower you to be the best leader and team player, that you are meant to be . . .
Mark I shared this as well, your fan Jackie Paulson please stop by my blog.